The Department for State Service DSS, has again flouted court order, six days after the Federal High Court sitting in Ado-Ekiti charged the DSS operatives to release a member of the State House of Assembly, Hon Afolabi Akanni or produce him in Court yesterday, the lawmaker is still being detained by the security agencies. When the matter came up for hearing yesterday, the lawyer to the detained lawmaker, Barrister Obafemi Adewale, told the court that non-production of Akanni was as a result of the recalcitrant posture of the DSS to receive the production warrant issued on it. “The court bailiff told us that the DSS in Ekiti didn’t accept the production warrant brought to them having received instruction from Abuja not to take such,” he said. Akanni, who was arrested on March 4 and taken to Abuja for undisclosed reason, had gone to court through his lawyers, Barristers Adewale and Bunmi Olugbade, seeking to enforce his fundamental rights as enshrined in the constitution. While ruling on the ex parte motion brought by Akanni, seeking interlocutory injunction, restraining the DSS from further detention, JusticeTaiwo Taiwo granted the prayers and ordered the immediate release of the lawmaker, representing Efon constituency. 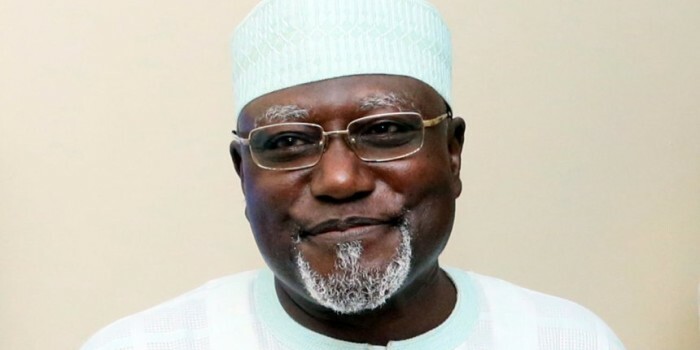 In the alternative, the court ruled that the DSS should produce Akanni in court on Wednesday, March 16 and show cause why he shouldn’t be let off the hook. Sequel to his continued detention, his lawyer yesterday filed an application for substituted service on DSS. He adjourned the matter to March 24 for further hearing .